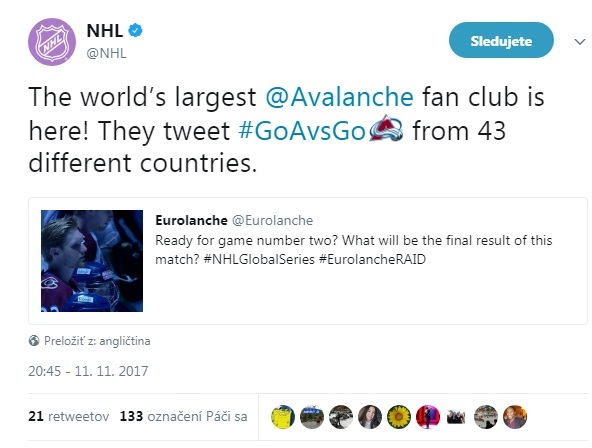 Eurolanche announced a special event for two Avalanche games in Sweden. Eurolanche, the first European and the biggest Fan Club of the Colorado Avalanche, has announced its newest project – Eurolanche Raid 2017. 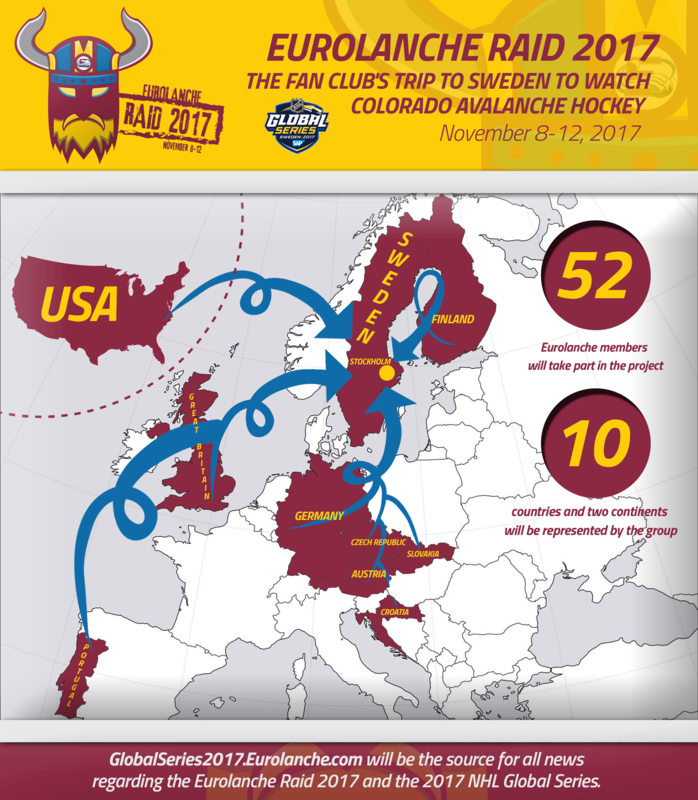 The Raid will take place between November 8 and 12, 2017 in Stockholm, Sweden on the occasion of the first two Colorado Avalanche regular season games in Europe in history, which the team will play against the Ottawa Senators. On the day of the NHL’s official announcement of the 2017 NHL Global Series, Eurolanche offered an exclusive preliminary registration for the event to fan club members. “The Eurolanche Raid 2017 will become the biggest event in our history with a record number of participants from the most number of countries and continents ever. With other Eurolanche members travelling individually, we will have the opportunity to make Avalanche players feel at the home, like they are on the ice in Denver, or even better. The name of the event itself expresses our main goal – going there for only five days and a couple of games, but being fully committed and ready to show something both the Avalanche and the NHL have never seen before,” said Eurolanche Founder and President David Puchovsky. In total, 52 Eurolanche members from 10 countries and two continents will be part of one of the most unique event in the Fan Club history. You can learn more details by reading the attached infographic. Moreover, about 30 more Eurolanche members will travel to Sweden on their own. In total, more than 110 Eurolanche members expressed initial interest in the Eurolanche Raid 2017 when the NHL announced the two games in Sweden. All members of the Eurolanche Raid 2017 will be part of an organized group with a special schedule that will be announced at a later date. Additionally, every member participating in the event will receive a surprise from the Eurolanche Fan Club. As these two games could be the first as well as the last chance to see Avalanche hockey in person for many European fans, Eurolanche will make sure they will experience an unforgettable trip. Group activities available for the remaining Eurolanche members, who traveled to Sweden individually, will be sent via email only to those members, who have already confirmed their participation at the games. GlobalSeries.Eurolanche.com will soon become the source of news, exclusive content and coverage of the 2017 NHL Global Series. Eurolanche will provide its own exclusive coverage of the event at this website, while also covering the Eurolanche Raid 2017. Colorado to play two games against Ottawa Senators in Sweden.